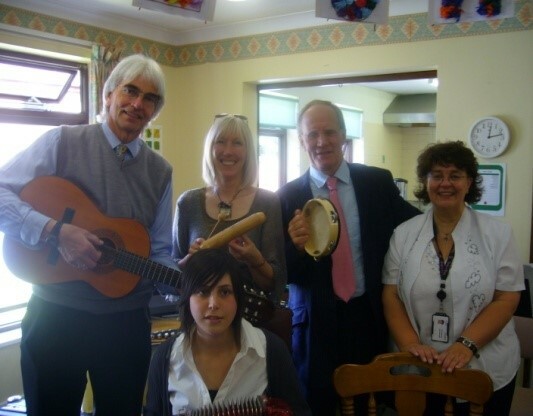 We are planning to build on our previous education programmes in which Music 4 Wellbeing practitioners shared their experiences and expertise with teachers, care staff/health professionals, family carers and arts practitioners. Education programmes to date have involved over 400 workforce professionals and carers who have attended short training courses on embedding creative experiences into their professional/family interactions. It is not necessary to have any prior musical/art training. We welcome enthusiasts, experts, novices, shy people and extroverts – anyone who wants to experiment with sound, music, movement, dance and other creative activities and to take their newly learnt skills back to their workplace for the benefit of all. 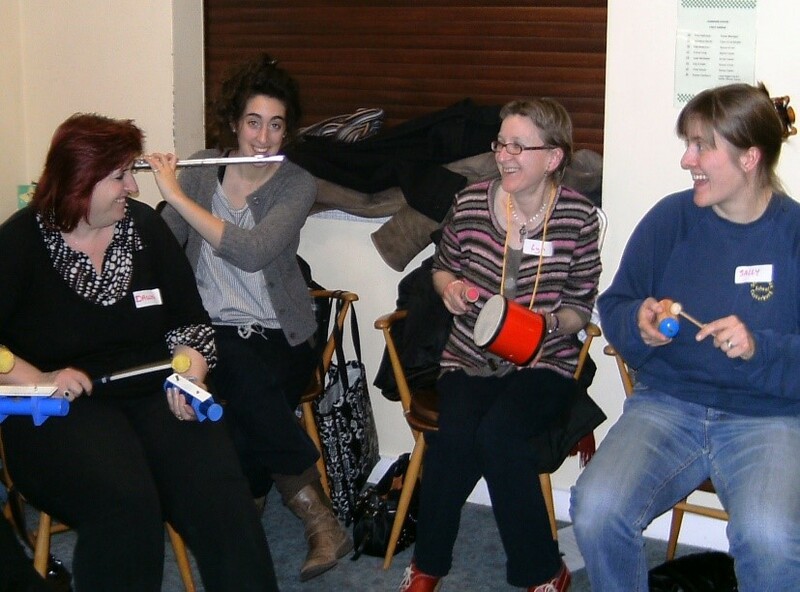 If you’ve ever been told, you can’t sing/dance/create – don’t believe it – join one of our courses and experience the joy of your creative self! Care work with M4W practitioner, Nicola. 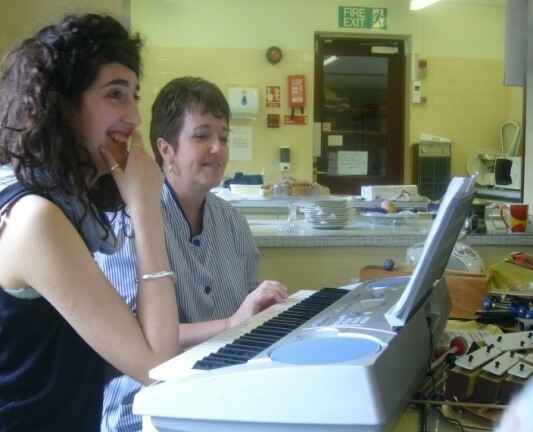 An ‘InterAction’ education programme: exploring musical improvising skills improves communication and interactions between staff and the people for whom they care. The ‘US in mUSic’ education programme. Staff from Connors House, Canterbury work with M4W programme directors Prof. Grenville Hancox and Dr Trish Vella-Burrows and practitioner, Bev. 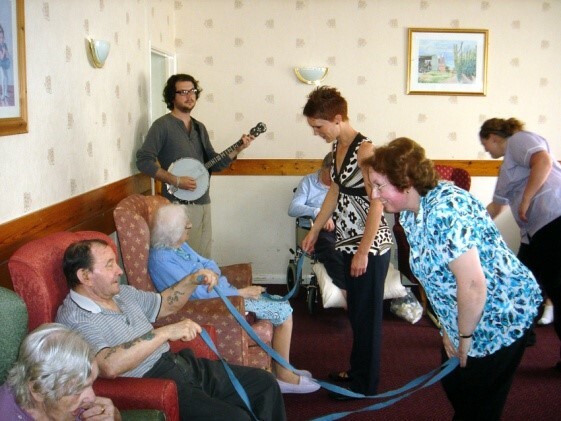 Care staff and residents at Kimberly House working with M4W practitioner, Phil.